Take advantage of this excellent Christmas and New Year charter special and rent the outstanding charter yacht ALEXANDRA for just € 150,000 per week plus expenses, saving €60,000 per week. 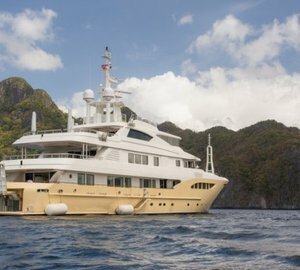 Normally available at €210,000, superyacht ALEXANDRA is now available in the breathtaking Indian Ocean charter destinations of Seychelles and Maldives. Built by Benetti, Alexandra is a beautiful vessel measuring 50 metres in LOA offering spacious interior and exterior areas, with great attention to details. 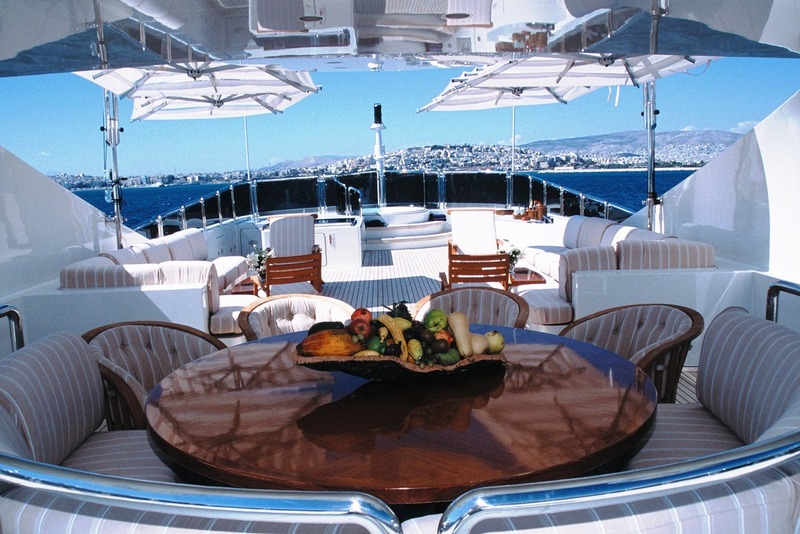 A typical Benetti feature, wide windows, allow for plenty of light penetrating the inside, brining the spectacular surroundings right through to the interior, which is a true custom yacht achievement thanks to the signatures of the famous Terence Disdale for design and Alan Jones for decoration. 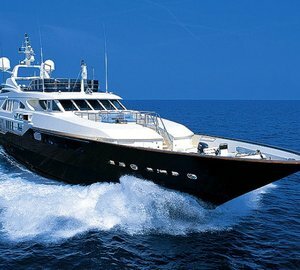 Boarding luxury yacht Alexandra, you enter a world of luxury and sophistication combined with exquisite elegance. 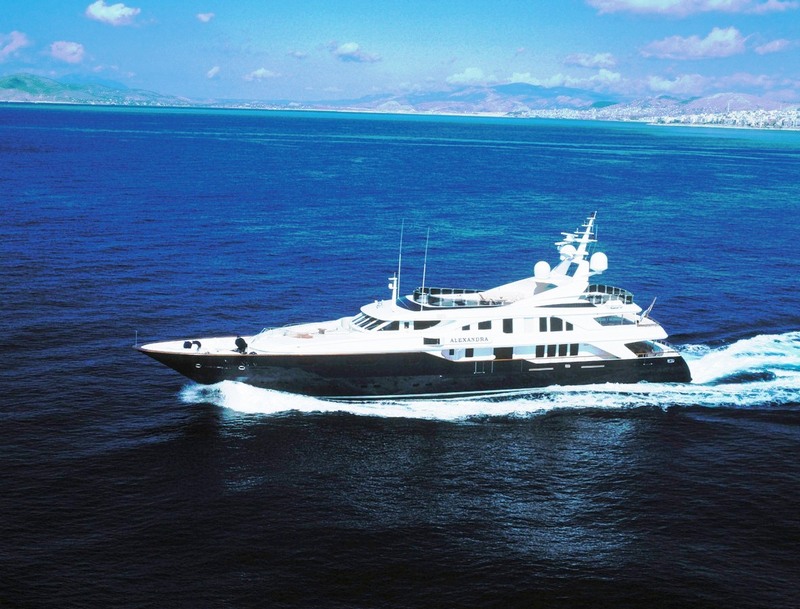 The vessel offers a Spa Pool, located on her fabulous sun-deck as well as a large selection of water toys for endless entertainment and relaxation possibilities. Alexandra’s main deck boasts two collapsible bulwarks aft of the lounge and an elegant dining area, which offers guests sensational panoramic views, while enjoying the mouth-watering dishes prepared by Alexandra’s talented chef. A true testimony to luxury, Alexandra yacht has a unique accommodation layout offering 7 cabins to 14 charter guests in total. She also has an owner’s private study. The full beam Owner suite and owner’s study with separate Shower Jet Massage and Spa Pool tub can be found on the upper deck. The main deck features two VIP cabins with a lower deck accommodating guests in two double and two twin cabins. Each one of the cabins is equipped with a full entertainment system. A maximum speed of 18 knots and a cruising speed of 16 knots is reached thanks to her twin MTU 12V 396TE94 engines. Her range is 3000 nautical miles and she is fully MCA compliant and constructed to ABS classifications. Captain Christos Bairamis and his five-star crew of 12 will ensure you have the most memorable and enjoyable Christmas and New Year’s holiday ever, pampered in luxury while surrounded by the magnificent vistas of Seychelles and Maldives. Luxury yacht charters in the Indian Ocean are regarded as some of the most spectacular in the world, thanks to magnificent charter destinations such as Seychelles, the Maldives as well as Mauritius. 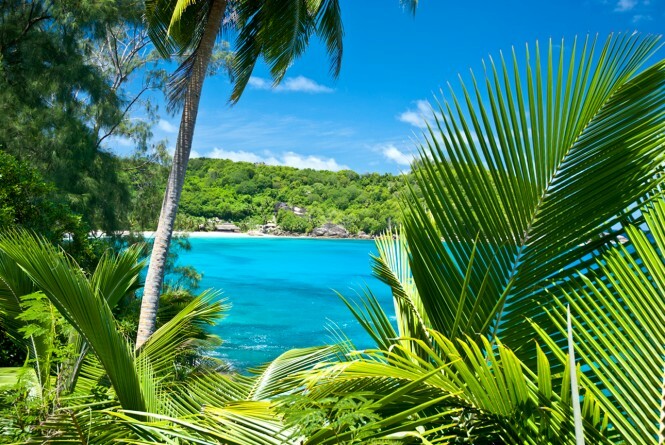 Isolated in the warm, azure waters of the Indian Ocean, charterers and visitors to these places are sure to find a paradise on earth and a wonderful place to unwind. 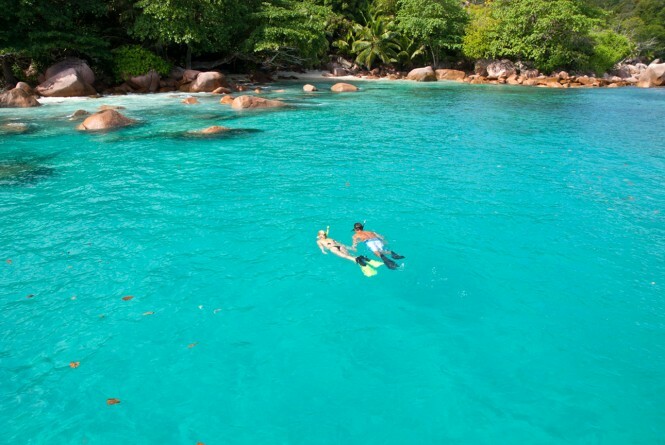 Seychelles, also known as the ‘Jewel of the Indian Ocean’ is best experienced aboard a yacht, be it a luxury sailing yacht or an outstanding motor yacht, such as Alexandra. 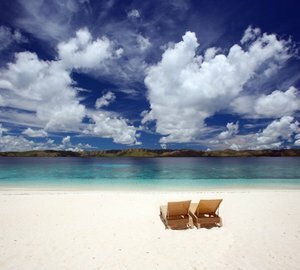 The archipelago comprises hundreds of islands and inlets offering plenty to explore and be amazed by. The idyllic white sandy beaches, calm waters, sparkling lagoons and brilliant coral reefs are only some of the many reasons why charter guests from around the planet are drawn to this area, full of ancient wildlife reserves and rare species. Another unforgettable superyacht charter destination to escape the European winter season are the Maldives. This beautiful island collection provides its visitors with exceptional scenery and natural beauty as well as an abundance of recreational activities and plenty of adventure. There is no better way to discover this paradise than aboard a luxury yacht. If you are still planning your 2012/2013 Christmas and New Year’s holiday and would like to obtain more information, please contact our charter team today. CharterWorld’s friendly and professional brokers will provide you with additional details about chartering M/Y Alexandra as well as a full list of yachts currently available for rent in areas that are of a particular interest to you. Please contact CharterWorld - the luxury yacht charter specialist - for more on superyacht news item "Christmas and New Year Charter Special for 50m Motor Yacht ALEXANDRA ".